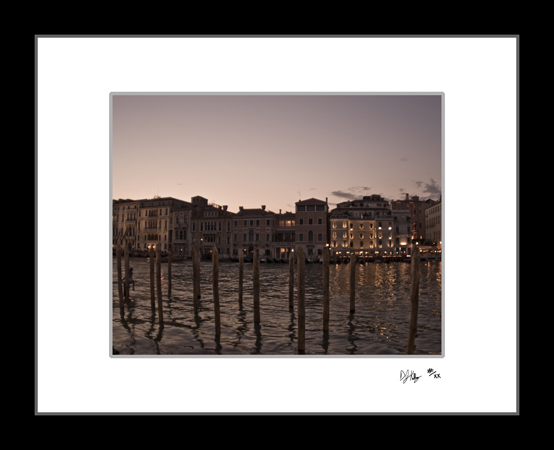 This fine art print of the sun setting on the Grand Canal in Venice, Italy. The Grand Canal is the main route through Venice, much like a major highway except its filled with boats. In this photograph the lights and sky are reflecting off the canal. The pinks and purples of the sky and the dimly lit buildings provide a beautiful setting.